Nikon D3 so good I bought it twice! After years of owning Canon cameras, I decided to make the hardest decision facing a photographer and that was to change make and model. The change also required new lenses, which I knew would be costly process especially as want fast quality glass of the same manufacture. After researching the Nikon line up of past and present and considering my budget would mean buying a used item, one camera stood out, the D3. I have now been a proud owner of a D3 for nearly two years and in that time have collected a good range of lenses to compliment this superb camera. The Nikon D3 has impressed me so much that now I have invested in a second one! My Nikon D3 lets me do things I’ve never been able to do, and makes it fast and easy. You don’t need a review: unlike any other camera I can recall, just talk to anyone who owns the D3 and you’ll hear praise gushing like no other camera. 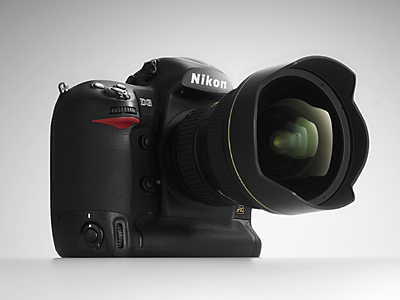 The Nikon D3 has no “buts,” as in “I love it but…” Everyone just loves it. You’ll hear the same thing from any photographer who had his hands on one for just a few minutes. The more someone knows about serious shooting, the more they love the D3. The D3 just goes. It shoots and you get great images, period. Nothing is slow or gets in your way. It just goes. The Nikon D3 is a professional news, sports and action camera, but it’s decent for landscapes, too.